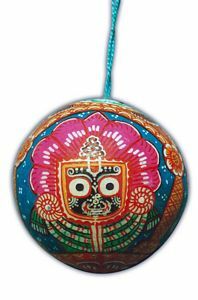 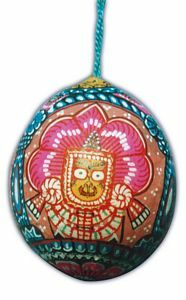 These items are the result of the innovations introduced to the traditional sphere of patta paintings. 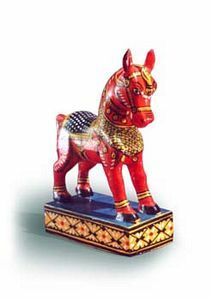 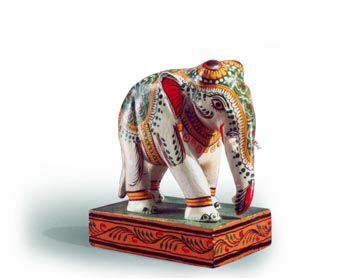 These are first carved on wood and then colures are applied to decorate it and give a rich bright look. 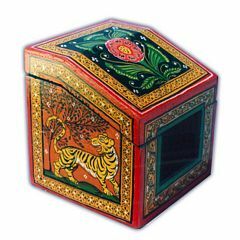 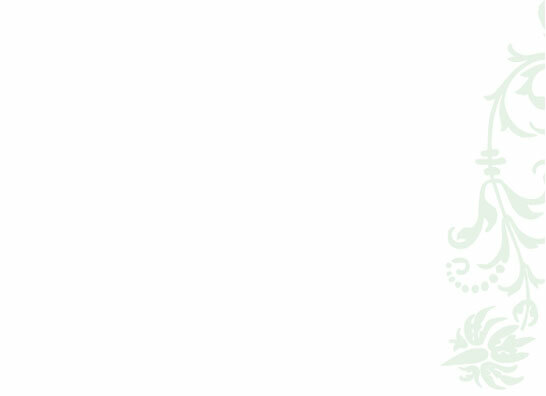 The product range varies from different size of boxes, table lamp base, Alphabet Box, Photo frame, Pen Stand, Toys with animal and bird figure with stand Key ring etc. 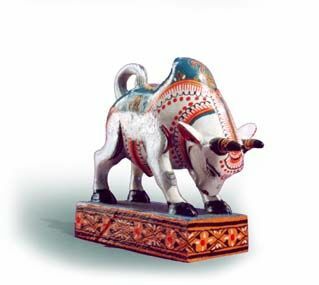 The colorful animals give a rich picture of our cultural celebrations. 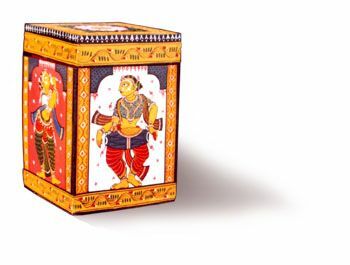 Small boxes of different shapes and motifs are perfect for a souvenir. 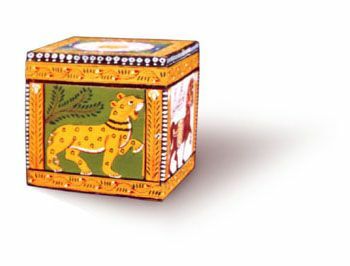 A religious motif depicting nine animals peacock, hen, man, tiger, elephant, snake and bull. 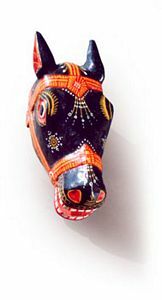 A wooden horse mask can be used on walls doors etc. 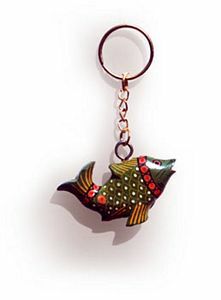 Tiny wooden animals and birds available in wide range can be used as keyrings. 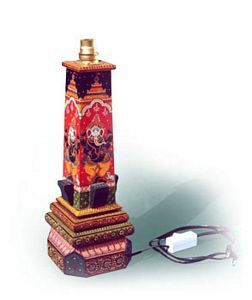 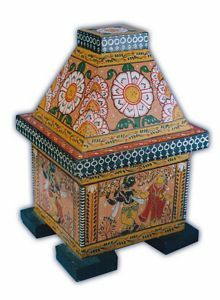 A painted wooden lamp with mythological motifs on the side walls. 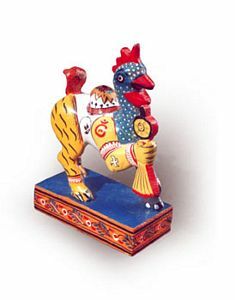 Puppets can also be placed instead of painted motifs. 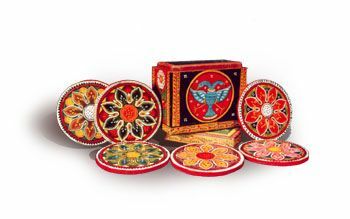 Six circular coasters in a box gives a colorful image for your tea-table.